Wouldn’t your attention be laughingly-arrested by this too? When I came across a recipe for Carrot Jam in Isabella Beeton’s chapter on Preserves, I knew I had to give it a try, despite my instinctive absolutely-no-way-it’ll-taste-even-remotely-edible response. I knew there was no way it could (I mean, come off it, carrot on toast?!). But as I’d bought a bottle of Brandy for Friday’s apple-custard tart, I’ll jump at the chance to honourably be done with it as soon as possible. The last time I (allegedly) partook of this particular beverage was as a baby. (Allegedly) I was a bit of a lusty, high-pitched wailer, so my war-time nurse of a grandmother (allegedly) prescribed a drop of Brandy in my milk. Allegedly. I’ve no idea if it’s actually true (my late grandmother sometimes enjoyed pulling my leg), but an abiding aversion to the smell lingers on. 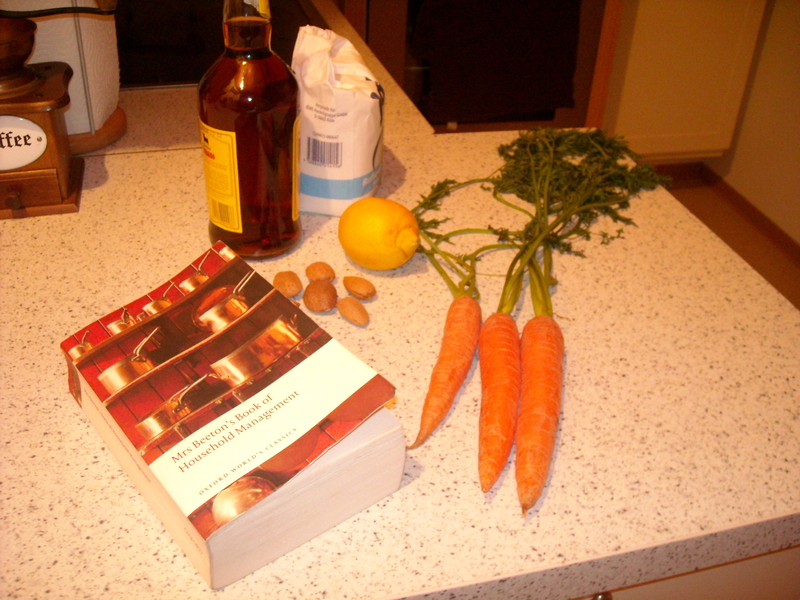 INGREDIENTS – Carrots; to every lb. of carrot pulp allow 1 lb. of pounded sugar, the grated rind of 1 lemon, the strained juice of 2, 6 chopped bitter almonds, 2 tablespoonfuls of brandy. It’s an easy recipe, but that still didn’t warm me to the idea of eating carrot on toast. The most time-consuming part was boiling the thinly-sliced carrots to near-mash, which didn’t take that long at all (35 minutes). I’ve never heard of bitter almonds and most certainly don’t have any lying around, so 6 regular almonds were pestle-and-mortared into service. I summoned (begged) my boyfriend into the kitchen to share the moment of tasting with me. “You’re trying some,” I muttered as he grimaced at the gingery pulp. I ladled a spoon of carrot onto two very small pieces of bread. We couldn’t bring ourselves to look at each other as we slowly, with eww-ick expressions, raised the bread to our lips. We shoved the bread into our mouths and chewed as quickly as our disgust would allow us. Suddenly, my boyfriend’s face cleared. Munching carefully, he quietly gave his pronouncement. My own prior expectation of a loo-dash faded away as my tastebuds assessed the new flavor sensation. With huge surprise I had to agree– it really was pretty damn good. Who’d have thought it? Give it a try for yourself and see what you think. I was unexpectedly impressed by the lip-lickety sweetness of this surprisingly tasty (not to mention economical) concoction. 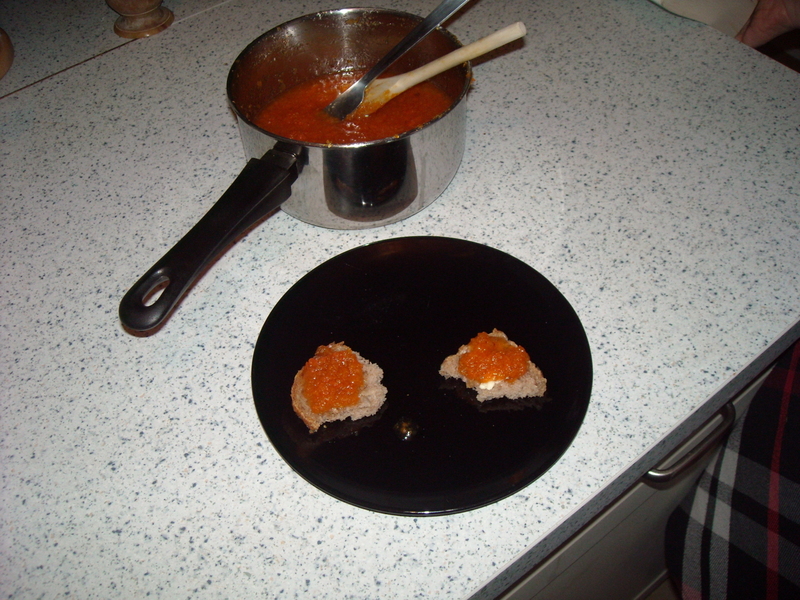 This entry was posted on December 8, 2009 at 10:13 pm and is filed under food. You can follow any responses to this entry through the RSS 2.0 feed. You can leave a response, or trackback from your own site. we tried your carrot preserve and it tasted excellent. The first idea was that it could be orange marmalade, I guess this is because of the grated rind of the lemon and the lemon juice. 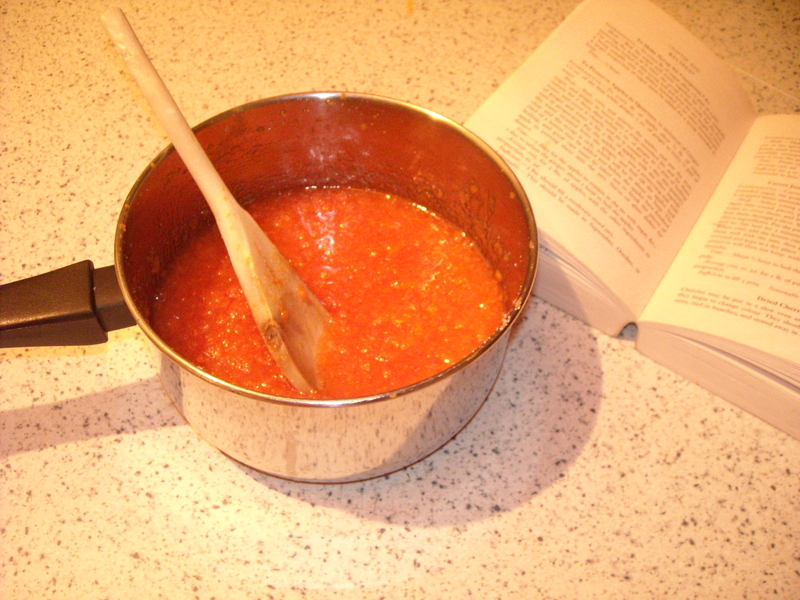 It is a very strong taste, so adding this ingredient could have even improved the taste of the preserve. The carrot jam recipe is a very good idea, we for sure will try it next year with new carrots. I’m glad to hear that you enjoyed the jam!